There has been much discussion regarding the swedish chemicals tax. It is now to be implemented in Sweden. 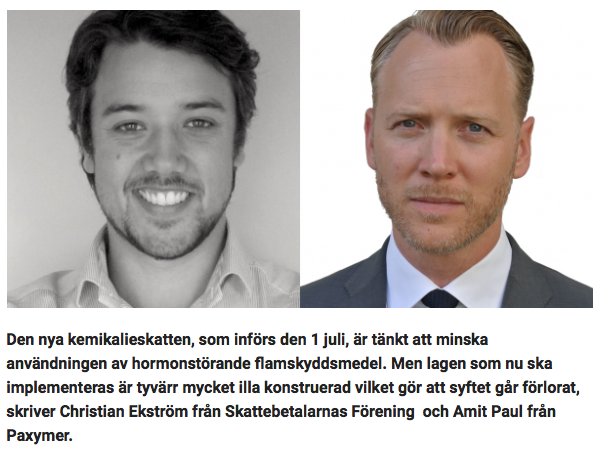 Paxymer joined with the Swedish taxpayers organisation (NGO) in a final critique of the mindless tax that does nothing other than enrich the coffers of the government. It is mislabeled as an environmental tax. Instead of the mindful and constructive use of economic drivers for use of greener materials the tax hits the consumer and the resellers of white goods. 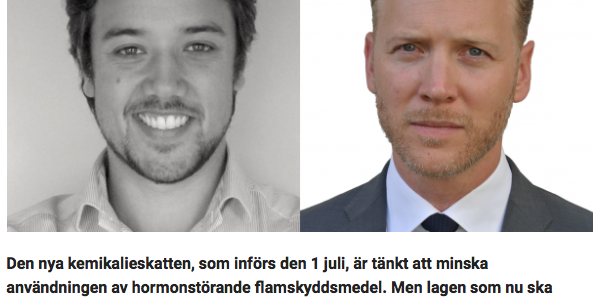 You find the full debate article here in swedish.